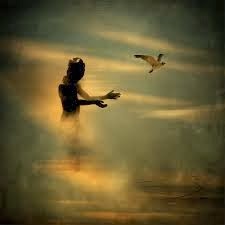 To let go is to free a person, situation and or thing and I’m glad to say that I have and still am. It wasn’t easy and I believe that I didn’t let go all on my own. I’ve learned a lot about myself over the past 2 years and there were many issues I had to face and many things and people to forgive. Honestly! There are still more issues that I have yet to face but I did however learn to ‘Let Go’. I’m particularly referring to a traumatic situation that took place exactly 1 year and 2 months prior that really shook my foundation for last time. I had to choose between my freedom and my desire to retaliate the same physical treatment. My mind went blank and my human nature wanted the satisfaction of treating that individual with as much harm as they were bestowing upon me. Now! I can truly understand what I see on the news and courtroom trials of victims who tried to protect themselves and they claim to have ‘Blacked Out’ or their minds have went ‘Blank’ due to the severity of the incident. On that day I decided to emotionally let go of that person to save my mind, body and soul from going through anymore harm than it already has. I don’t wish harm on anyone even if they upset me. Yes! I may be angry, heated and about to ‘CHOKE’ someone LOL! But I have to take a step back and remember that I’m not about that life at all. And in doing so I would only become the very thing that I have let go of. I do however encounter this person from time to time and yes they do try to provoke once again another incident like before. They don’t go too far and I’m pretty sure they remembered the look I had in my eyes on that day.